morning to kick start your day. Take a mixer or a juicer and add all the above ingredients except salt and lemon and juice it for 2 minutes. Transfer to serving glasses and mix in the lemon juice and salt. Taste and serve. 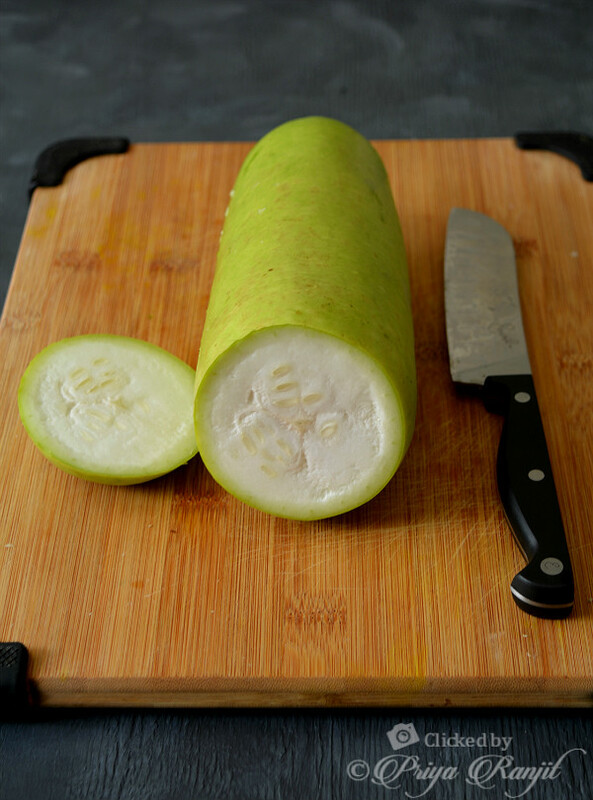 Make sure you taste lauki before juicing it, if you sense any bitter taste discard the vegetable. 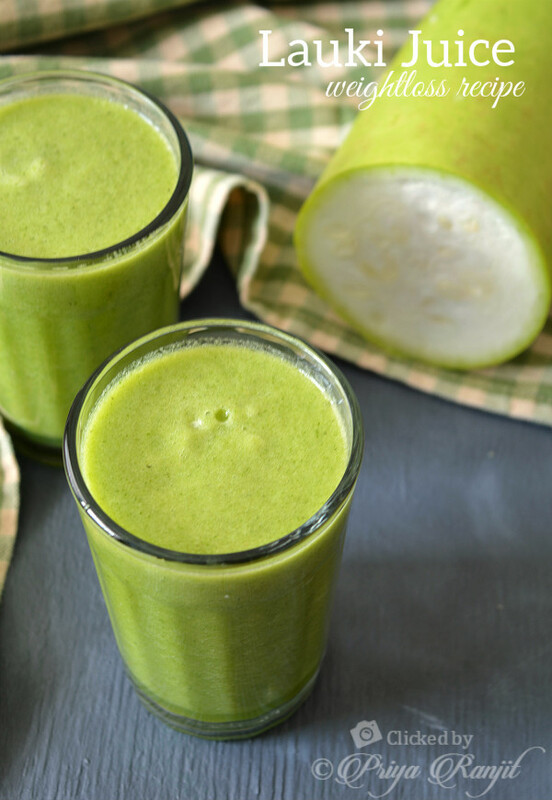 Always make sure the vegetable is fresh properly washed and skin peeled before juicing, its better to keep the vegetable in room temperature before juicing as it does add to cold. Stay tuned for more diet recipes. If you have any diet recipes or you have tried any of the diet recipes featured on this blog do comment below or email me - cooklikepriya (At) gmail (dot) com. Looks perfect and healthy start! I am looking for weight loss recipes right now.. Thanks for sharing such a great recipe! Wow this is excellent da will give a try.. 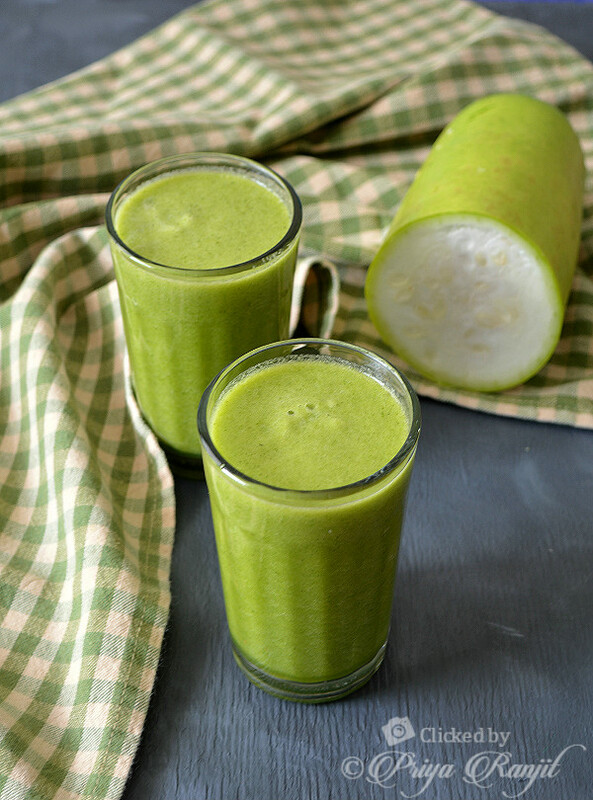 I used to drink lauki & ash gourd juice for weight loss but entirely different method, Will try this one for sure. Thanks for sharing. Neat pics and presentation. Excellent drink to make and enjoy quite often at home. Extremely healthy.